We sell an ATTITUDE, Single Origin/ Pure Organic/ Fair Opinion, rather than products. We care about small farmers and rural communities, rather than profits. As a social enterprise, we need to be more capable than any other for-profit enterprises, because we are ambitious to create value to stakeholders, rather than to make profit to shareholders only. As one of our stakeholders, YOU, can participate and support our dream, to make the world better, as well as to make you and your love healthier. Agra Boutique is recommended as Social Care Small Enterprise by Ministry of Economics in Taiwan. Taiwan Tea & Co are passed US FDA testing & are officially listed at Amazon.com as 100% pure Taiwan tea. 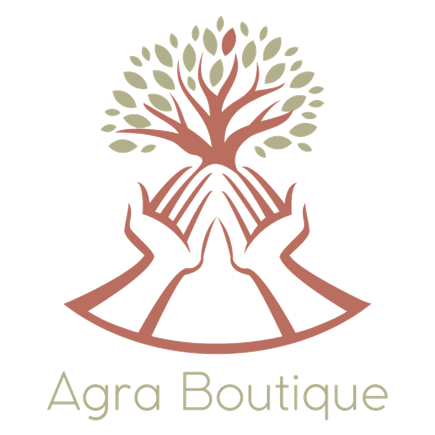 Agra Boutique was established in 2015 by students and faculty of Taiwan’s elite Feng Chia University school of International Business. Designed to be a social enterprise, Taiwan Tea & Co. works exclusively with small farmers and community farming cooperatives in Taiwan’s most famous tea regions to bring the best quality, naturally farmed teas and coffees to your cup. All Taiwan Tea & Co. products are procured through fair contracts and tested to the highest SGS / TUV safety standards, so you can sip away guilt free. When it comes to a good brew, something is lost in industrial farming and mass production of tea, and its not just the flavor … Its that story behind every good brew. The ritual and tradition… the sense of pride and community… the passion and attention detail that goes into every hand picked leaf. Here at Taiwan Tea & Co, we feel that it’s the small farmers and unique micro batch that bring the best teas, coffees and stories to the marketplace. unique, small batch teas for generations. 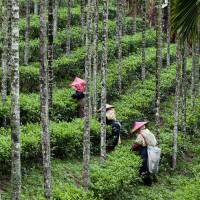 Each and every one of our teas are 100% naturally farmed without the use of pesticides and chemical fertilizers. Every leaf is hand picked and processed in micro batches (often producing less than 500lbs per harvest). It’s our goal is to bring these natural, small batch teas to tea lovers around the globe. We want to share their story… we want you to taste the pride and passion that goes into every hand farmed leaf. every farmer / cooperative with we work with. Every batch of tea is subject to the stiffest SGS lab testing and held to the highest safety standards. We will accept nothing less than pure, unadulterated tea, free of any pesticides and chemical fertilizers. Taiwan Tea & Co. was established in 2015 by students and faculty of Taiwan’s elite Feng Chia University school of International Business. Designed to be a social enterprise, Taiwan Tea & Co. works exclusively with small farmers and community farming cooperatives in Taiwan’s most famous tea regions to bring the best quality, naturally farmed teas and coffees to your cup. All Taiwan Tea & Co. products are procured through fair contracts and tested to the highest SGS / TUV safety standards, so you can sip away guilt free.